The 2200T is a tube version of the company’s 2200a FET condenser. Both mics use the same single-membrane capsule, and have fixed cardioid pickup patterns. Both mics provide a -10dB pad and a high-pass filter, controls for which are provided below the grille. The tube in the 1200T is an ECC83A, which is a 12AX7-style dual-triode tube with lower microphonics. Like the FET 2200a, the 2200T utilizes an output transformer. 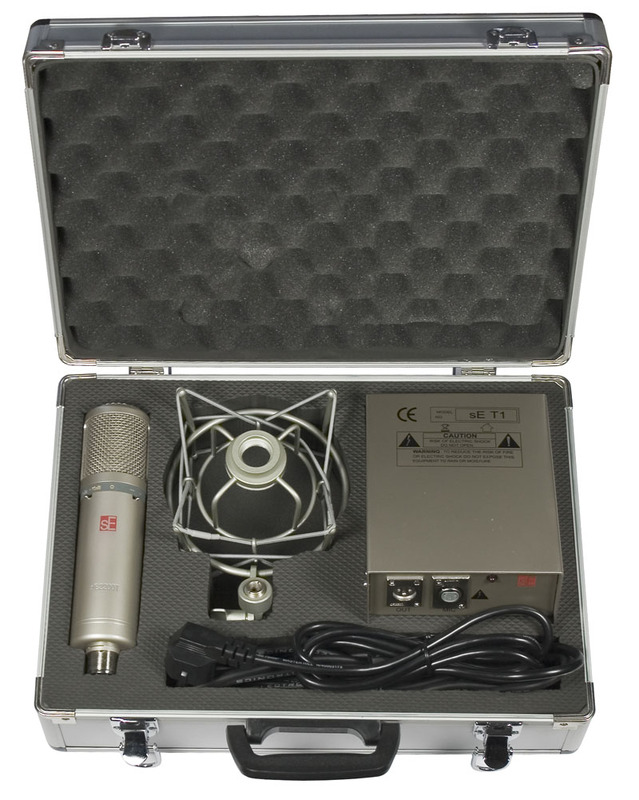 The mic ships in an aluminum flight case with a suspension shockmount, power supply, and cable. The graph of the capsule’s response shows a broad, gentle, high-end rise, which gives the sound a nice open quality that goes well with the tube’s gentle warmth. With a well-designed tube mic such as this, the influence of the tube is fairly subtle, and it flatters without making the sound seem obviously colored or unnatural. The SE Electronics 2200T is also known as: SE2200T.